PLANTRONICS LAUNCHES NEW AUDIO EXPERIENCES TO LET RUNNERS AND TRAVELERS HEAR WHAT TRULY MATTERS. The company’s biggest consumer launch this year includes the first sports true wireless and two other models for active enthusiasts; plus, two active noise cancelling (ANC) headphones for frequent travelers. Singapore. – October 12, 2018 – Plantronics today launched its most expansive consumer product launch to date with five products across the BackBeat FIT and BackBeat GO lines. These products deliver consumers new, immersive audio experiences, so they can hear and enjoy what matters most – from music to phone calls to entertainment. Runners, fitness enthusiasts and active people of all stripes should put the new BackBeat FIT 3100 on their wish lists. 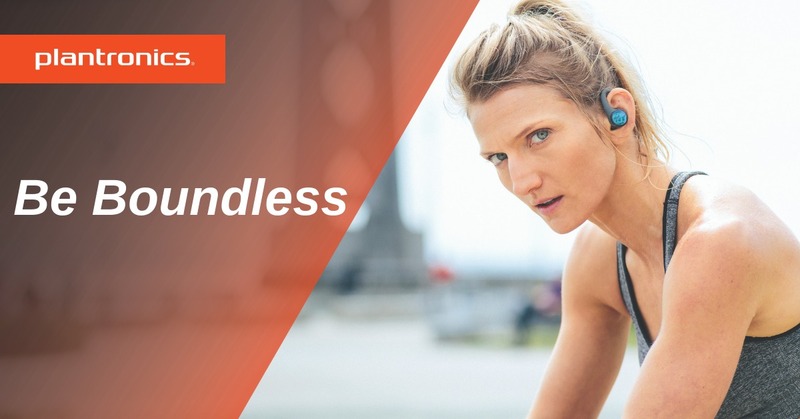 This headset delivers legendary Plantronics audio quality and uniquely boasts the Always Aware™ feature that enables outdoor enthusiasts to “hear what truly matters” – like taxi horns, barking dogs or screeching brakes – during their workout. These true wireless headsets have soft, flexible earbuds that actually fit and hold comfortably no matter the activity, so they’re durable, safe and stylish. The BackBeat FIT 3100 is the must-have true wireless headset for the fitness enthusiast. For travelers dealing with noisy airplanes, airports or public transportation, Plantronics is launching the BackBeat GO 410 earbuds. Travel can be exhausting, loud and very distracting, but the comfort and calm of Active Noise Cancelling (ANC) headphones have been priced out of reach for too many. Now, the BackBeat GO 410 provides a discreet comfort using a flexible neckband design, with up to 8 hours of extended battery life and ANC in a sleek form factor at an unexpectedly affordable price. Travelers can now hear what truly matters – not their chattering seatmate or the chimes and pings of a game played on a mobile device in the row behind on daily commutes or 10-hour flights. BackBeat FIT 2100 is the newest version of the consumer favorite BackBeat FIT. Runners and active people across the globe know and trust the quality and durability of this wireless headset. The new 2100 improves a person’s experience with the Always Aware™ design. BackBeat FIT 350 delivers another wireless wearing style option for gym-goers with stability and up to six hours of listening time, optimized for situations where you want to hear your music – not the grunting of the power lifter nearby. BackBeat GO 810 are wireless, over-the-ear headphones that pack up to 28 hours of listening time for commuters and travelers, so they can focus on what matters amid the clamor of an airport, an airplane, commuter bus or subway. The new BackBeat FIT 3100, BackBeat FIT 350, BackBeat GO 810 is now available in major retailers such as Challenger, Harvey Norman, Best Denki, TANGS, Robinsons, Changi Airport T1|2|3|4 and authorized retailers. The BackBeat FIT 2100 and BackBeat GO 410 will be shipping in November 2018, in time for the holiday shopping season. Plantronics is an audio pioneer and a leader in the communications industry. Plantronics technology creates rich, natural, people-first audio and collaboration experiences so good ideas can be shared and heard—wherever, whenever and however they happen. The company’s portfolio of integrated communications and collaboration solutions spans headsets, software, desk phones, audio and video conferencing, analytics and services. Our solutions are used worldwide by consumers and businesses alike and are the leading choice for every kind of workspace. For more information visit www.plantronics.com.